There are state laws that have a major impact on agriculture, including the Texas horse industry. Our legisture determines tax policy on sales, property, and franchise taxes. And, they can affect our access to water and the use of our land. These are issues that are important to everyone in the agriculture industry. And, of course, there are issues specific to the horse and livestock industry, such as Texas racing, animal welfare, and animal health. It takes active participation of all the independent organizations representing agriculture to be effective at the Capitol. Three bills favorable to the Texas horse racing industry – HB2463, HB1995, and HB3366 – have successfully passed out of the Licensing and Administrative Procedures Committee of Texas House of Representatives and now move to the Calendars Committee to be assigned a date to be heard on the House floor. We encourage Texas horsemen and women to contact your state Representatives asking them to pledge their support to each of these bills. If you do not know who your State Representative is or their contact information, you can find it here by entering your home address: https://house.texas.gov/members/find-your-representative/. House Bill 2463 (HB2463), filed by Rep. Tracy King, is a purse matching bill that would take money from General Revenue funds collected by the State Comptroller on the taxable sale of horse feed, supplement and tack to create a $25 million annual incentive fund that would increase purses to bring quality race horses and breeding operations back to Texas. 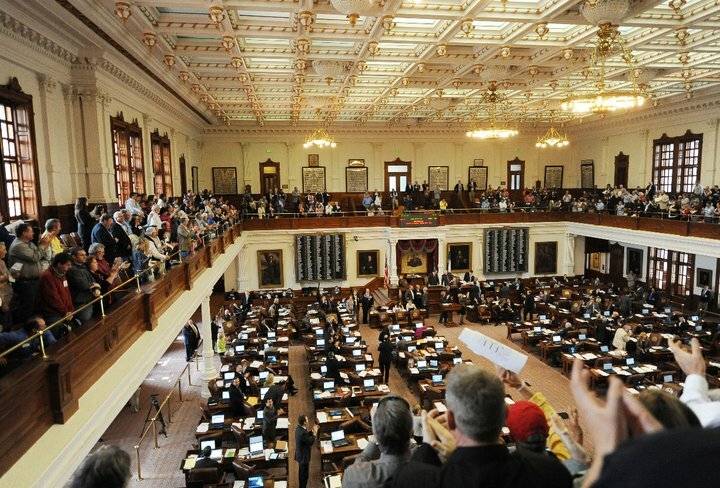 The bill, which creates no new taxes, would make Texas racing regionally competitive again. (The bill is similar to a Texas Parks and Wildlife program that uses a portion of the tax collected from the sale of sporting goods and directs it to programs that promote outdoor activities.) Economist Jon Hockenyos estimates that by the third year of implementation, the state will more than recover the annual investment based on the increased economic spending spurred by higher purses. In other words, taxes collected on horse industry activity would be put back into the industry to grow it for the benefit of the horsemen and women and the state’s economy. An economic impact study recently completed by TXP, Inc. demonstrates the positive impact implementation of the bill could have both on the racing industry and the State of Texas. To read the report, click here. House Bill 1995 (HB1995), also filed by Rep. Tracy King, would redirect tax on interstate simulcast wagers in Texas from the General Revenue to the Texas Racing Commission’s funding. This would stabilize funding for the agency responsible for enforcing the Texas Racing Act and regulating the pari-mutuel industry. It would also protect against another “shut down” of the Texas Racing Commission, which in the past has jeopardized the operation of the entire horse racing industry and has threatened thousands of jobs. House Bill 3366 (HB3366) would take the Accredited Texas-Bred (ATB) funds out of the Texas Racing Commission budget and establish an escrow account for that money. This would ensure that the incentive fund is protected and delivered to the audience targeted by the Legislature. It would also provide a more accurate reflection of the Texas Racing Commission’s actual budget. Both HB1995 and HB3366 would reduce both costs to the Texas Racing Commission and the fees it assesses to the Texas racing industry stakeholders it licenses. If you have questions about these bills, please feel free to contact the TQHA office at (512) 458-5202. Three important pieces of legislation have been filed in both the Texas House and Senate that could prove beneficial to Texas Quarter Horse breeding and racing. Representative Tracy King ((D) of Uvalde) has filed HB 2463, a purse matching bill, with Senator Lois Kolkhorst ((R) of Brenham) filing identical SB 1998. HB 2463 and SB 1998 redirect money from General Revenue funds collected by Comptroller on taxable sale of horse feed, supplement and tack to create a $25million annual incentive fund for purses. King also filed HB 1995, providing additional funding for the Texas Racing Commission, and Senator Chuy Hinojosa ((D) McAllen) filed matching SB 2274. HB 1995 and SB 2274 redirect taxes on simulcast wagers from General Revenue funds to fund the Texas Racing Commission. Representative Kyle Kacal ((R) College Station) filed HB 3366, an Accredited Texas-bred Clean Up bill, with Senator Kolkhorst filing identical SB 1997. HB 3366 and SB 1997 take Accredited Texas-bred owner and breeder award funds out of the TRC budget and establish a new escrow account for those funds.